11 injection moulded plastic parts, 10 items in white metal, and two photo-etched frets. Accurate in outline; subtle rib detail; helpful frets of photo-etched parts; sturdy packaging; decals in perfect register with minimal surrounding carrier film. This is not a release for the beginner and it was never meant to be. 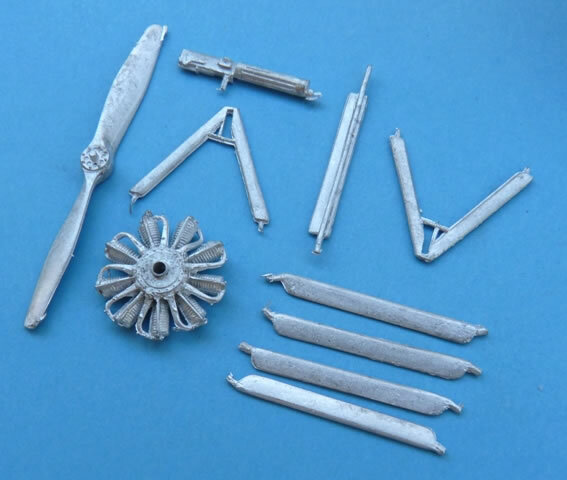 What we get is a no frills kit that contains the basic components to produce an accurate replica of an often forgotten subject. 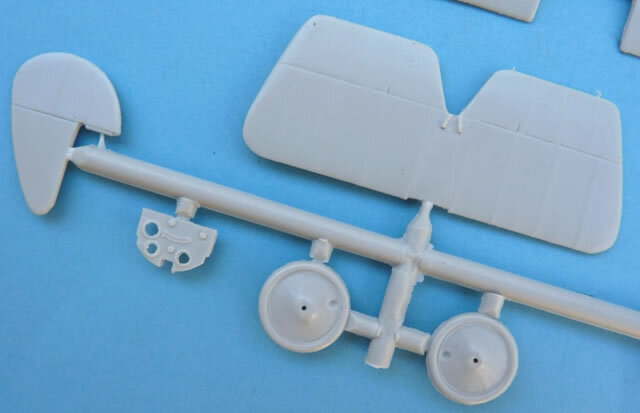 Bear in mind that a little modelling experience will be needed should you wish to detail the kit to a level more akin with mainstream manufacturers. 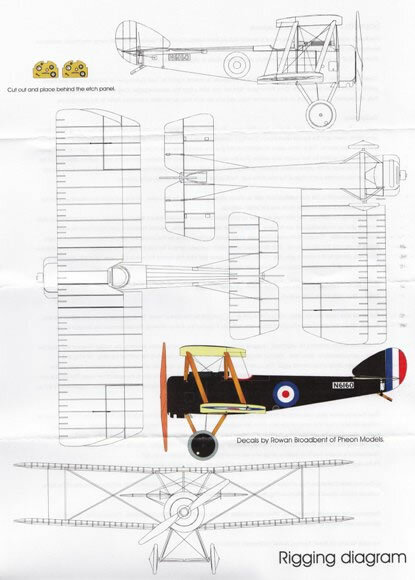 Back in the days when building World One aircraft was a scary undertaking, Eduard released a kit of the Sopwith Pup. Packed with their trademark set of photo-etched parts it could be transformed into a very good of this elegant fighter. It did however leave out a couple of characteristic “Pup” features that frustrated many modellers. 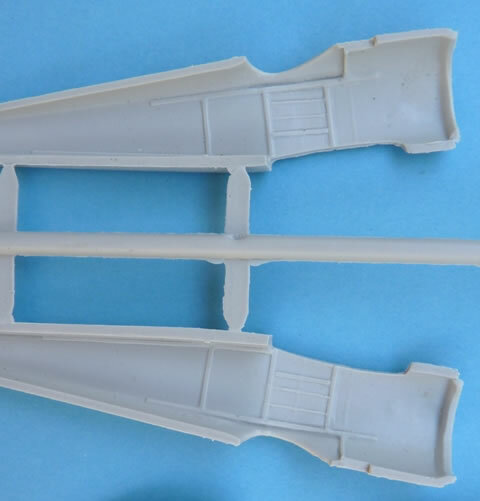 Aeroclub’s latest addition to their 1:48 scale range addresses these issues. Inside the sturdy box are 11 injection moulded plastic parts, 10 items in white metal, and two photo-etched frets. 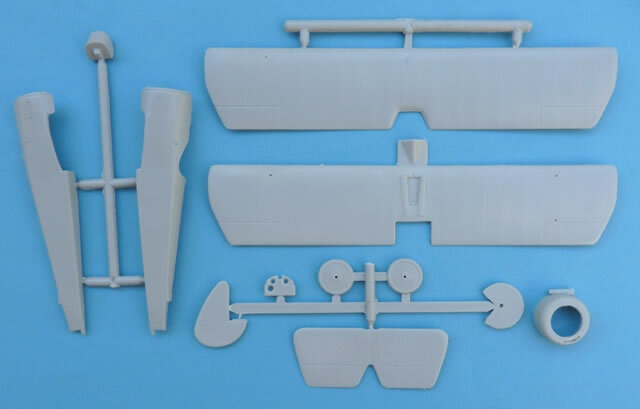 The latter comes in two thicknesses with the thinner variety catering for the instrument panel, control horns, machine gun mount, rudder bar, pitot tube, and throttle assembly. Replacement struts can be found on the other sheet should you feel that the supplied white metal items are not strong enough. These are of course flat in appearance so some bulking up will be undertaken by the purest. This also applies to the other items residing on this fret which include the control column and windscreen mount. 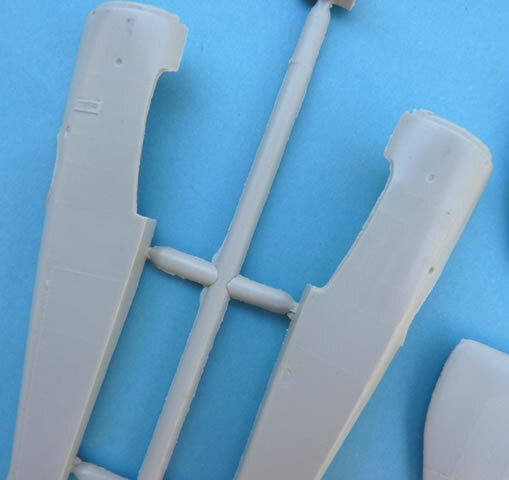 As the kit is directed at experienced modellers, this procedure should not be a problem. 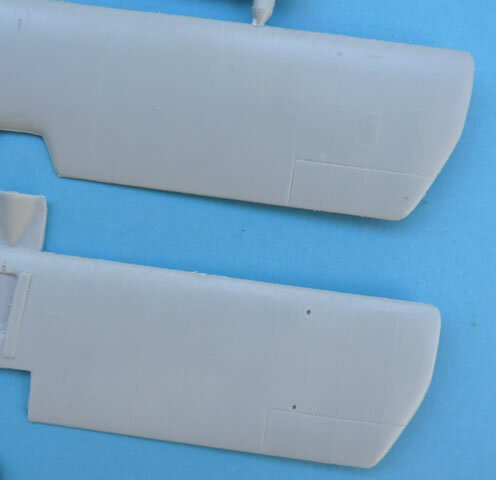 Similar enhancements will apply to the plastic parts where after the usual cleanup with wet ‘n dry paper, some deft scalpel work will redefine some of the softer detail. Accuracy is not an issue as the plastic parts conform very well to the latest sets of general arrangement drawings. It’s good to see that the often missed “dovetail” has been included and the same can be said for the lower “V” shaped cut-out behind the engine cowling. All of the flying surfaces are single piece affairs with built in dihedral where necessary. The fastidious will thin the trailing edges slightly as these are a little thicker than those provided by “mainstream” manufacturers. This is easily done from below and don’t worry too much if the subtle rib detail is removed. Those on the lower surfaces can quickly be replaced with a strip of decal or similar and painted over. The markings are for a single aircraft, this being the mount of Raymond Collishaw. The decals are beautifully printed by the Fantasy Printshop and come in perfect register with ultra thin carrier film. The colour density looks good and the separate red dots ensure that any alignment problems are the work of the builder. He scored 2 victories while flying “N6160”, these being a couple of Halberstadt D.II fighters on 15th February and 4th March 1917. Collishaw was credited with up to 60 successes but this total has been disputed by more recent research. 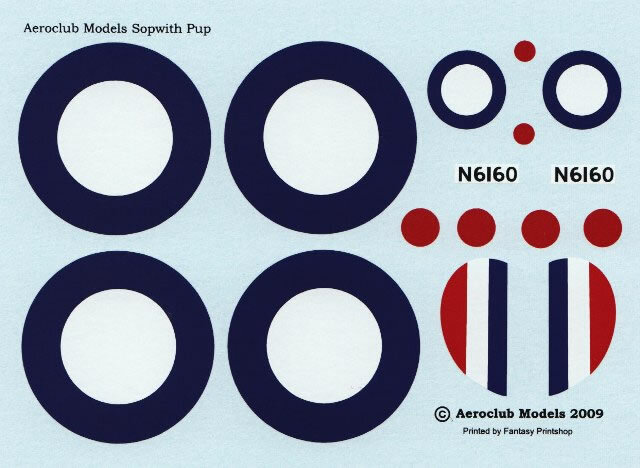 This is a good effort from Aeroclub Models. It addresses the accuracy shortfalls of some previous kits and doesn’t introduce any of its own. 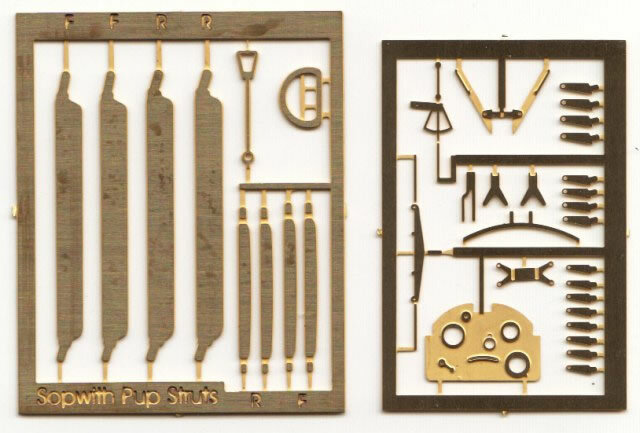 The kit is aimed at experienced modellers so be prepared for a little extra work to add the finer details. It’s not a difficult process and the kit is easy to assemble as long as you exercise some care. This offering caters for the 80-hp Le Rhone version and the good news for Pup fans is that the second release will include a Whitehouse cowling for the 100hp Monosoupape. 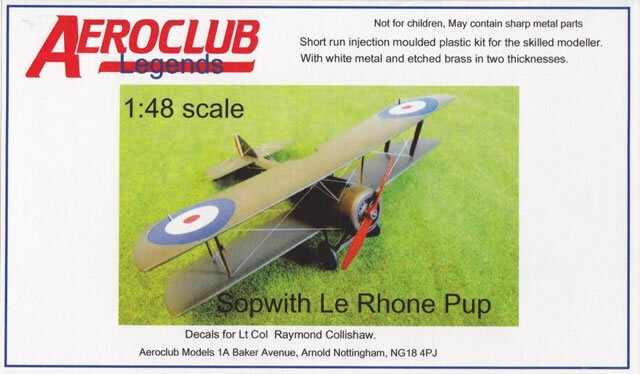 Thanks to Aeroclub for the review sample.